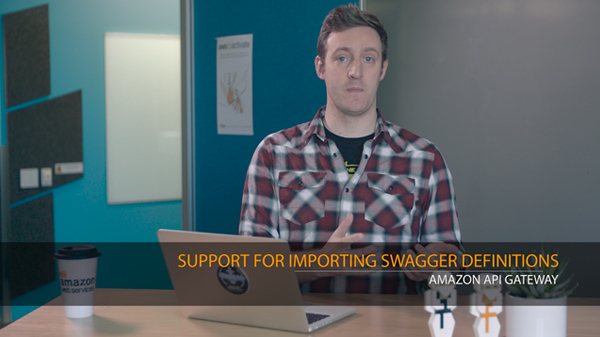 Amazon API Gateway now supports importing Swagger API definitions. Previously, you would use the Swagger importer tool to import Swagger definitions into API Gateway. Now, you can import your Swagger API definitions into API Gateway through the AWS Management Console, CLI, and SDK. This allows you to easily create and deploy new APIs as well as update existing APIs in Amazon API Gateway. Please visit our product page for more information about Amazon API Gateway.